We’re a club that’s very good at raising money but we’re also a club that likes to get out there and do some good. 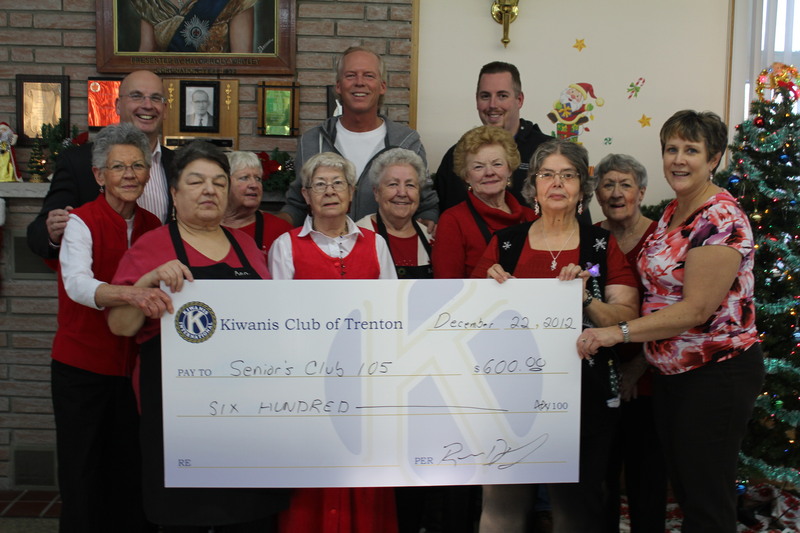 At the beginning of December the Trentonian ran an article about the trouble’s that the Seniors Club 105 was having with acquiring the necessary donations and help to have their annual Christmas lunch. Upon seeing that article our club decided that this was not the time of year that any one should be struggling, if at all possible, and we moved to action to help resolve this. Club 105 needed help to organize gift bags of fruit, hygiene products, and other small sundry items to help the seniors in our community. 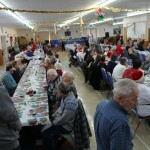 They also needed help to serve the Christmas meal they were organizing and to help bring meals to seniors unable to attend and to provide transportation to some. 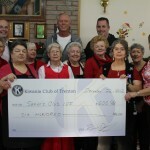 With this in mind we quickly made this a Trenton Kiwanis family project! 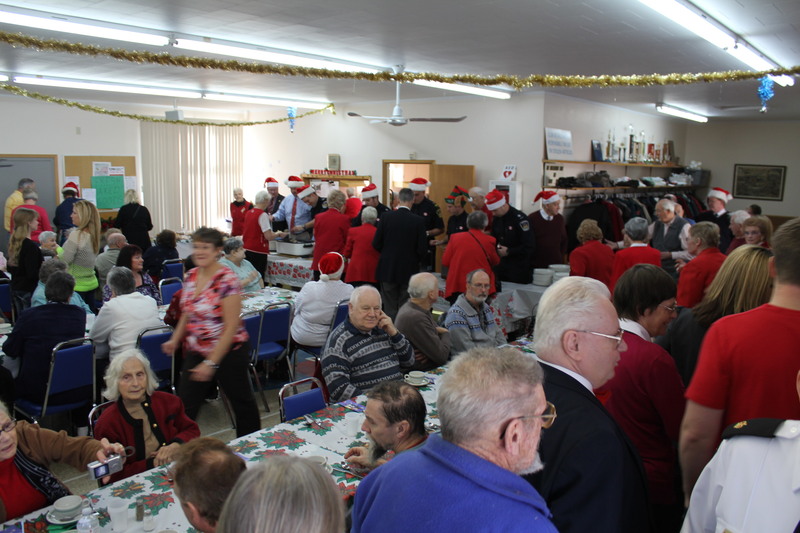 Our club quickly and assuredly resolved to donate $600.00 to help Club 105 make sure that no one walked away from their Christmas lunch hungry or with their gift bags empty. Though we could have stopped there we didn’t think that just giving money was enough and our Executive felt it was absolutely necessary we did more. 2nd Vice President Dave Sutton, and his lovely wife Laura, put the plan into motion with Laura securing donations of fruit from Metro and purchasing shavers, shaving cream, socks and other items for the gift bags. 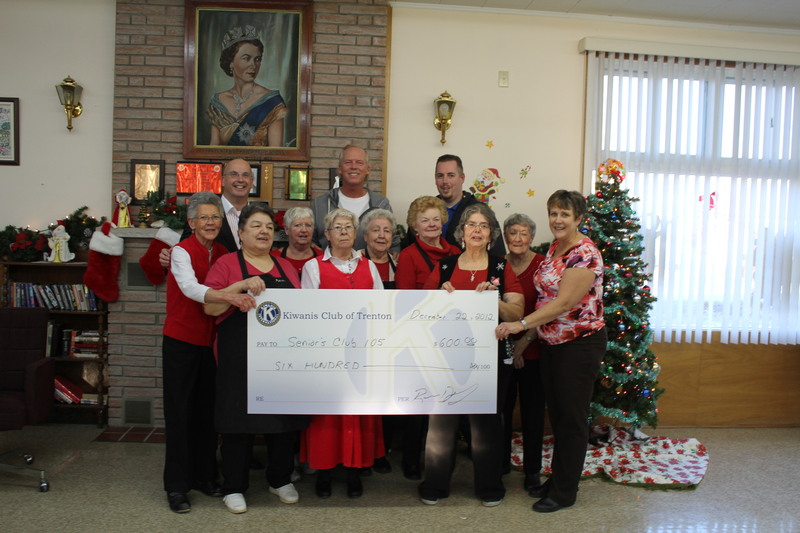 Kiwanis Louise Sandercock and Season’s Dufferin Centre rallied and donated 200 bags for the items to be put into. 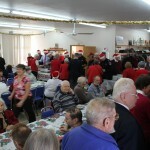 Secretary Christian Jaehn-Kreibaum, with the help of Kiwanian Penny Burnham and Treasurer Jim Parker, thoroughly organized meal delivery and pickup transportation for those who needed help getting to Club 105 for the lunch. 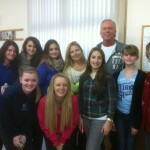 However, to say it was just Kiwanians helping out would not do justice to all of the volunteers from our club. Alongside 2nd VP Dave and his wife were seven of their children and Mary Sutton, Dave’s mother. To assist our members with the transportation duties came Christian’s wonderful wife Susan and his daughter Vivienne and son Nicholas. At the lunch our dedicated group of volunteers ran dishes, served meals and desert and coffee and Kiwanis Louise helped run an auction after the dinner. It was a great time and a great day to help those who needed our help. 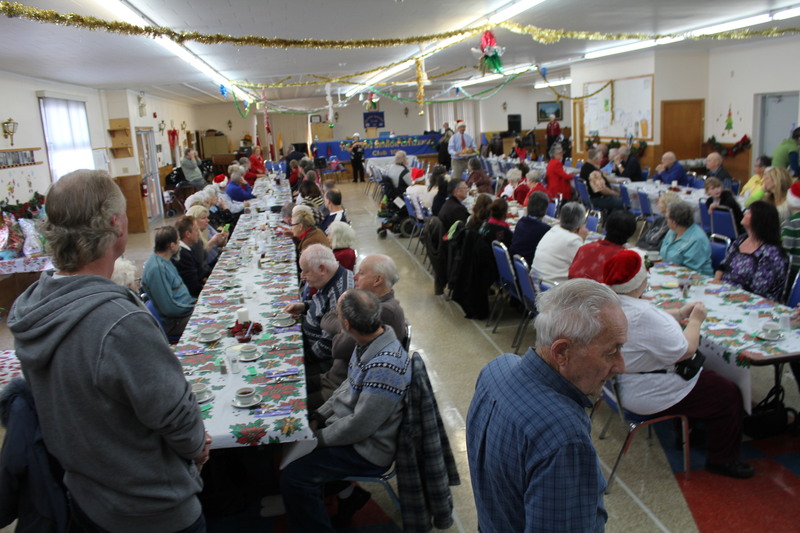 When everything was said and done we were able to serve 200 seniors and to help make Christmas atleast a little bit brighter in this wonderful community we call home.